By Craig Murray – A Tale of Two Incarcerated Women: On International Women’s Day yesterday Chelsea Manning was imprisoned yet again, this time for refusing to testify against Julian Assange before a Grand Jury. Chelsea has already suffered over seven years of total imprisonment – no American had ever previously spent more than three years in jail for releasing government secrets to the public, in a land which had historically valued free speech. I am in awe of Chelsea’s courage in refusing to testify and shocked at a system that imprisons somebody for contempt of court for maintaining a dignified silence. Chelsea has also done a great service in finally stripping away the last vestige of excuse from the figures who refuse to support Julian Assange, pretending that they do not believe he faces extradition to the United States and that the legal issue is not about Wikileaks’ right to publish. Chelsea has gone to prison for refusing to participate in the prosecution of Wikileaks for publishing materials that revealed war crimes in the American occupation of Iraq and Afghanistan. Chelsea is a whistleblower, not a publisher. Assange is a publisher, not a whistleblower. If Assange can be prosecuted for publishing official secrets, then so can every newspaper editor or television editor involved in the receipt of whistleblower material. There is a massive, a fundamental, media freedom issue at stake here. Even so, the MSM in the UK do not even have the guts to state the truth about what causes Julian to be confined to the Ecuadorean Embassy, let alone to support his right to publish. Nazanin Zaghari Ratcliffe is in jail in Iran for spying for the British. She is certainly not an MI6 officer, and I can’t see that she would have sufficient access to information to make her of much use as an agent (as MI6 calls its informants). That she was involved in training Iranian journalists or citizen journalists in ways the Iranian government did not like is much more probable, but does not amount to espionage. Even if she were some kind of low-level informant to MI6 (which I doubt), the Iranian authorities have sufficiently made their point and it is time to let her go. I nevertheless always felt we could do more. That the British government had, prior to yesterday, already done so much to try to help Nazanin Zagahari Ratcliffe, even though she was an Iranian dual national in Iran, was already extremely unusual. That the UK has now “adopted” the case, raising it to the level of a state dispute, is something not just unusual, but which I don’t think has happened since the First World War. Please note this is not the same process as granting Zaghari Ratcliffe herself diplomatic status, which has not been done. Whether the move is effective or wise in this case, is quite another question. It seems to me likely the Iranians will take it as confirmation that she is a spy. 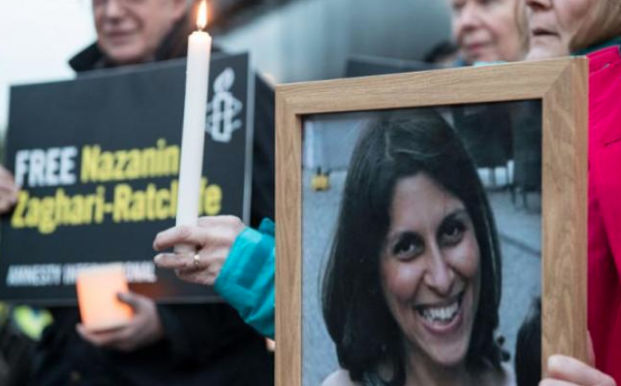 I would urge the Iranian government to take this course; they should now declare the adoption of the case as a state dispute proves that Zaghari Ratcliffe is a spy, and having been proven right before the world, they will let her go as an example of mercy and compassion.